Overwork or excessive exposure to heat can cause your horse to experience a heat stroke. That’s why it’s so important to know how to keep your horse cool and comfortable during the summer months. In this article, we explain equine heat stroke and provide sound advice to help you prevent and deal with this dangerous condition. Read on to learn more about keeping horses cool in extreme heat. 1 Are All Horses At Risk For Heat Stroke? 3 What Can You Do If Your Horse Has Heatstroke? 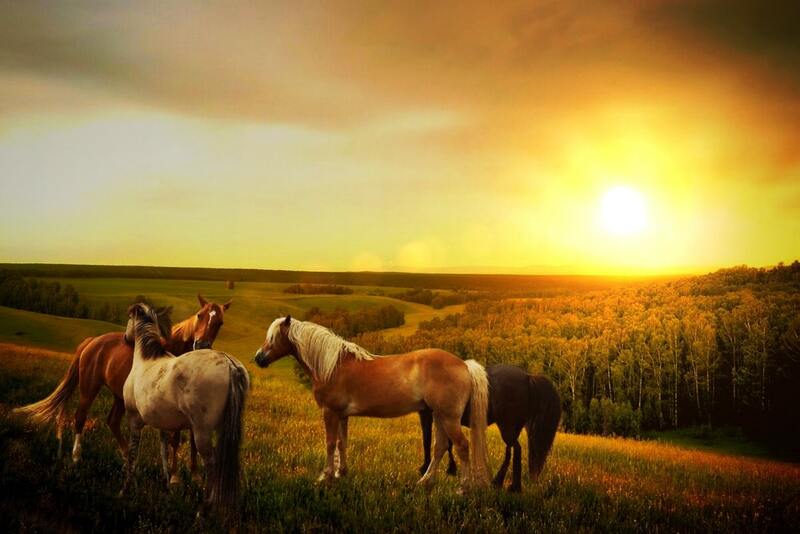 4 How Can You Avoid Equine Heatstroke? Are All Horses At Risk For Heat Stroke? You might think that only hard working horses would experience heat stroke, but this is not true. 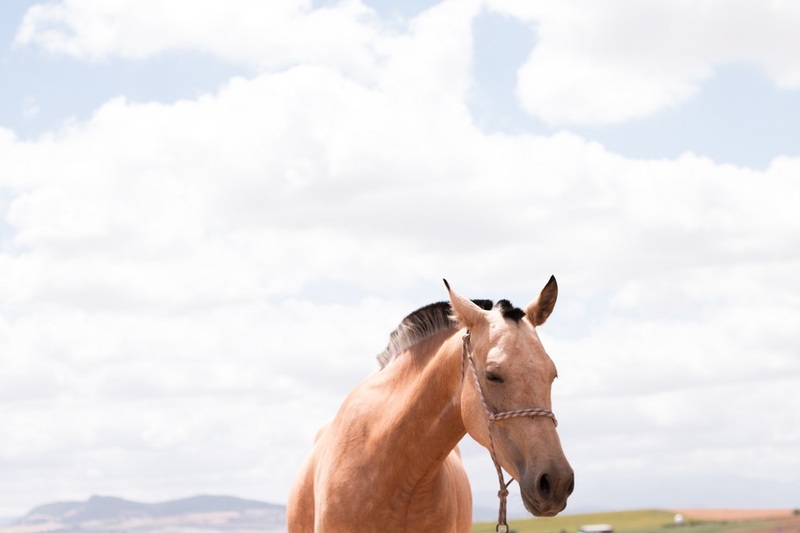 Even if your horse is not extremely active, he or she can suffer heatstroke if forced to stay in a hot place such as out in the hot sun or cooped up in a stuffy stall or trailer. Any circumstance that prevents your horse from being able to dispel excess body heat can cause a heatstroke. When your horse becomes too hot, the body sends more blood flow to the skin to assist in cooling. Unfortunately this causes the animal’s brain and internal organs to receive too little oxygen. Furthermore, heatstroke causes your horse to sweat excessively and this loss of electrolytes and fluid only adds to the dire circumstances. If your horse’s respiratory rate exceeds 40 or 50 breaths a minute at rest, it is a sign of heatstroke. A heart rate higher than 80 beats a minute at rest can be a sign of heatstroke. If your horse is excessively sweaty all over, it is a sign of heatstroke. Even worse, if your horse is not sweating at all when he or she should be, it is an urgent sign of heatstroke. If your horse’s rectal temperature is higher than 103°F, he or she may have heatstroke. If your horse stumbles or collapses, seems depressed or is not interested in his or her food, it may be heatstroke. If your horse’s mucous membranes are dry or if the skin does not settle quickly to its original position when pinched, your horse is dehydrated. What Can You Do If Your Horse Has Heatstroke? Immediately stop what you’re doing and allow your horse to rest. Wash your horse all over with cool water or a mixture of rubbing alcohol in water. Wash from the hooves up to cool the legs and belly first for quicker overall relief. 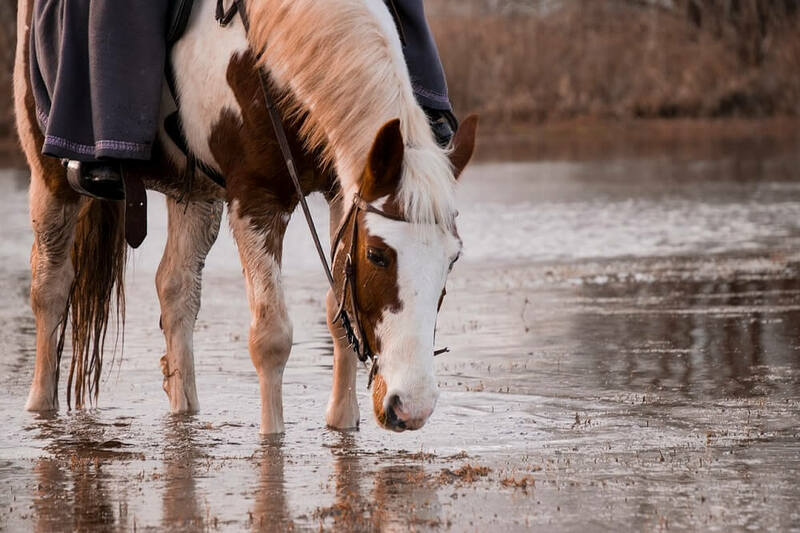 Give your horse cool, clean water and allow him to drink freely. Take your horse to a shady place as quickly as possible. If you’re in a stable with access to electricity, set up a stall fan for your horse. Otherwise, fan by hand or be sure that your horse is situated in a breezy place. Once you’ve done everything you can to cool your horse off and get him settled, give your vet a call. How Can You Avoid Equine Heatstroke? Use common sense. If it’s very hot out, it’s likely that you and your horse are at risk for heatstroke. Keep your horse healthy and set a reasonable schedule for hot weather activities. 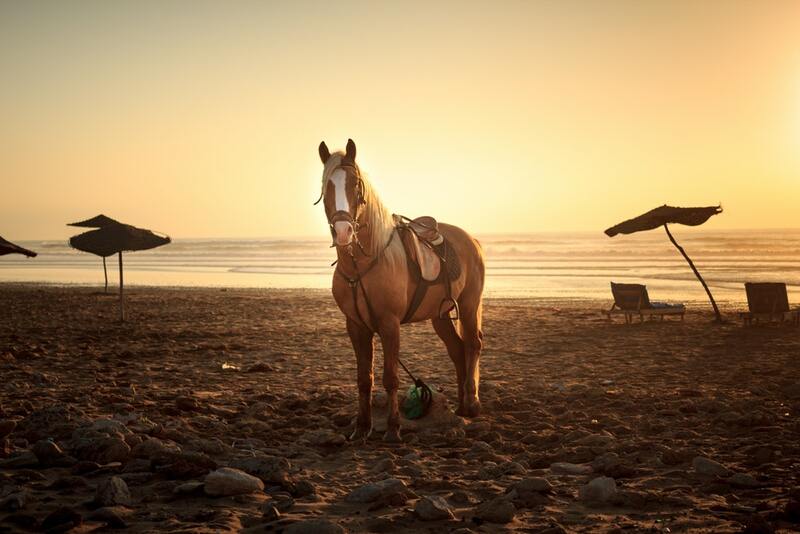 Ride and work with your horse early in the morning or at dusk when the sun is not so hot and the weather is cooler. Your horse should always be able to get out of the sun. 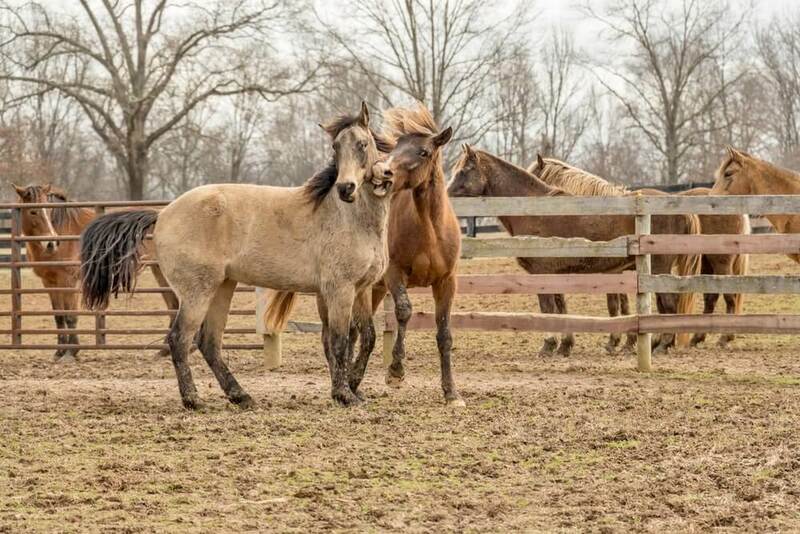 Be sure that you have a run-in shed or plenty of shade trees in your pasture so that your horse can always get away from the punishing rays of the sun. Your horse may drink 25 gallons of clean water a day or more during hot weather. This is especially true if he or she is being ridden quite a bit or otherwise working. Be sure to keep your stock tank and your water trough clean and filled with fresh water. Place water receptacles in the shade to stay cool. Always keep a salt block near your water trough for your horse to enjoy. It’s a good idea to keep a choice of salt blocks (plain white, sulfured and mineral) to make sure your horse gets whatever he or she needs. Keep an eye on your salt blocks to be sure that your horse is using them. If not, you can add salt to your horse’s feed to be sure he’s getting enough. Never force your horse to stay in an area that is without good ventilation (e.g. a closed trailer or a stuffy stall). Leave barn windows and doors open and/or set up barn fans to provide good air circulation. Never leave your horse standing in a closed, parked trailer, even in cool weather. On very hot days, you can cool your horse down preventatively by spraying or sponging his belly and legs with cool water or a mixture of half rubbing alcohol and half cool water. Cooling the legs and belly helps cool down large blood vessels and therefore cools down the entire body quickly. If you wash your horse’s entire body, be sure to scrape off excess water as being dripping wet can actually cause your horse to become hotter instead of cooler. Be sure to feed plenty of good quality hay throughout the year. Hay provides energy and helps your horse to regulate his own body temperature. In hot weather give your horse a clipping as appropriate. This is especially important for horses that have metabolic conditions that might cause them to have a thick coat even in the summer. Don’t trim off too much because excessively short hair can cause your horse to sunburn. Hit a happy medium by keeping your horse sensibly clipped as needed. Although sunscreen will not protect your horse from heatstroke, it will protect him from sunburn. If your horse has a scar that has no hair over it, is pink skinned or otherwise has areas of skin that are unusually exposed to the rays of the sun, you can use plain zinc oxide ointment to block those rays. Fly masks and fly sheets (like these here) with sun blocking properties are also helpful. If you can leave your horse out to graze overnight that’s best. Otherwise, only turn him out for grazing in the early morning or early evening hours. In addition to fans in your barn, installing a misting system can be very helpful in keeping your horse cool. Occasional misting actually cools more effectively than complete soaking. Even if you work very intensely with your horse during the fall, winter and spring it’s a good idea to slow it down for the hot summer months. Work on less active tasks during these months and be sure to stick with the schedule to prevent problems like colic, which can be caused by sudden changes in schedule. Knowing your horse’s normal respiratory rates, heart rates and temperature will help you recognize the signs of heatstroke.